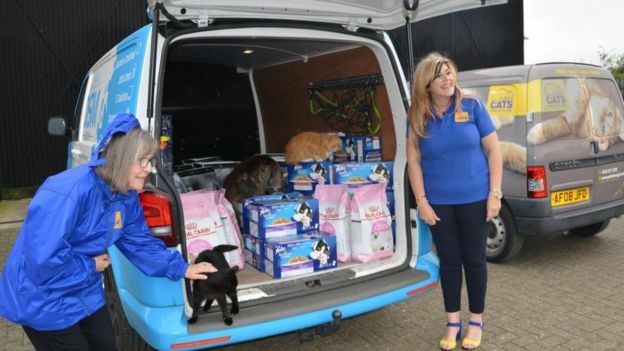 Community Steps In When Cat Charity Is ROBBED Of All Food! Everything Was GONE! 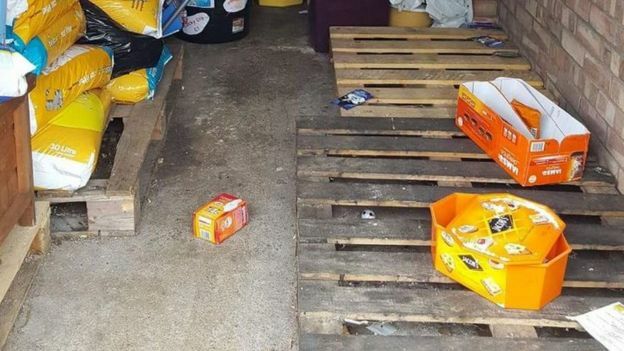 On the night of August 19th, an unassuming garage was ransacked by heartless thieves who didn’t care what that their actions would leave a shelter without any food for their animals. A total of 34 cats and kittens were living at the charity and were suddenly left without any food. That food had been rationed to last the animals until after the holidays, and they weren’t sure what they were going to do. The reached out to ask for help, and local authorities called the theft “callous.” The storage space had been locked up tight, but these thieves had planned their crime accordingly, having transportation large enough to take everything at once. Donations poured in as the story spread. Local businesses, nearby residents, and cat-lovers sent food donations. Kind souls who were too far to donate food were able to donate funds online to help in any way that they could. Within days, the charity had acquired enough food to last them until 2019! They now needed more space to store all of their food and have begun to allocate excess to smaller shelters and charities who might need the extra food and donations on hand. Larger charities helped out as soon as they could, and the public is grateful for the giving hearts and generosity of strangers. The police are still on the lookout for the thieves and hope to bring them to justice soon.